Pianist magazine talks to the British pianist about his upcoming endeavour. Described as an 'endlessly fascinating artist', Ashley Wass' musical career is one of unusual creativity and variety. He has performed at many of the world's finest concert halls, including the Wigmore Hall, Carnegie Hall, and the Vienna Konzerthaus. he has also performed as a soloist with all of the BBC Orchestras, the Philharmonia, Orchestre National de Lille, and the Vienna Chamber Orchestra amongst many others. 1. 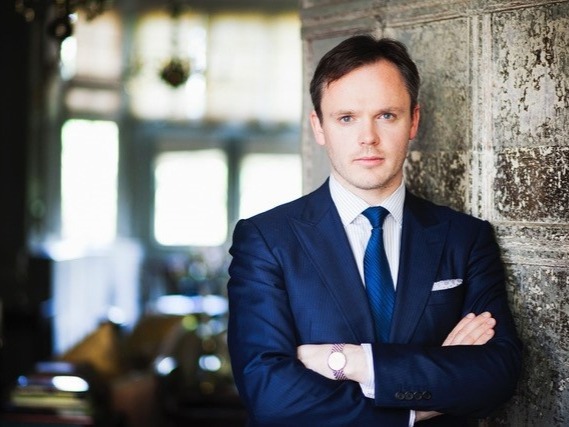 Your forthcoming performance with Matthew Trusler at the Tetbury Music Festival will celebrate your 40th birthdays in a programme that brings together some of your favourite pieces. Can you explain how you put this programme together? It’s essentially a collection of some of the pieces which have been most enthusiastically received by our audiences over the 20 plus years that we’ve been regularly concertising. It was good fun to reflect on the experiences we’ve had during that time. 2. Your career as a soloist artist and member of Trio Apaches has taken you all over the world. How do you balance performance life with teaching? Logistically it can be tricky, but the two generally compliment each other. I feel my experiences as a performer inform my teaching and vice versa. 3. As Deputy Head of Keyboard at the Royal Northern College of Music, Manchester, what is the most important maxim about performance you teach? That in concert you have just one chance to communicate your ideas to your public. The audience can’t read your mind, hasn’t listened to you practice and usually hasn’t discussed the repertoire you’re performing with you in advance; they have no idea what you think about a piece or what you want to do with it. You need to project everything you have to say interpretively with total commitment and clarity. Leave your listener in doubt about what you have to say. 4. How would you best advise young musicians maintain their love and interest in music? Variety. Too many young musicians enter college believing there’s only one route to a successful career - to be giving regular concerts as soloist at major venues or with major orchestras. That couldn’t be further from the truth. There are so many ways to fulfill yourself as a musician, and following the conventional idea of what constitutes success can often lead people away from the things they really love. Keep your mind - and your options - open and pursue the aspects of music making that bring you the greatest pleasure. 5. How do you advise your students in making repertoire choices? It’s a fine balancing act between letting them learn the pieces they really love and encouraging them to spend time on works which will benefit their studies. Being able to identify repertoire that will both push and instill confidence in a student at every point of their development is a key responsibility for any teacher. 6. What one piece of advice would you give your younger self? Enjoy plenty more of our Q&A's with some of the world's most talented pianists! You can book your tickets to the Tetbury Music Festival here.